Building on their earlier release of the Type 95 Ha-Go light tank, Dragon first released the Type 2 Ka-Mi derivative earlier. This release is considered the "late production" and to be honest, I'm not exactly sure of the differences. It appears the front of the pontoon section is different between the two, but I'm unsure of other changes. Molded in the typical light gray plastic put out by Dragon, this vehicle comes with DS tracks and a small fret of photoetch. The decal sheet provides basic markings for several options. Construction is fairly straightforward, with the one-piece lower hull needing only the running gear and screws to complete. The suspension is made up from separate inner and outer road wheels, as are the drive and idler wheels. The screws have separate shafts with separate blades. Once the lower hull is finished, the large one-piece upper hull can be attached, with a separate front piece completing the major hull assembly. The turret is nicely detailed, with a separate turret ring, separate hatches, and a nicely detailed gun emplacement. This is placed on the main hull and in very short order the kit is looking like a tank. 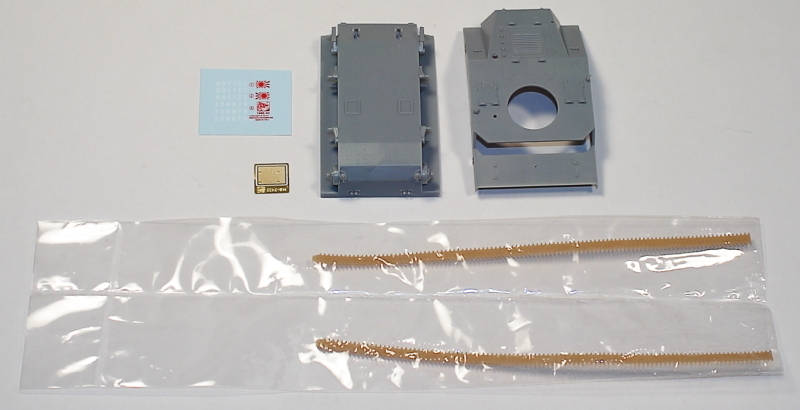 The photoetch piece forms the shroud around the exhaust, and with the addition of the DS tracks, the tank could then be painted and finished, should you want to portray your Type 2 Ka-Mi without the flotation gear (as it did operate in that manner). 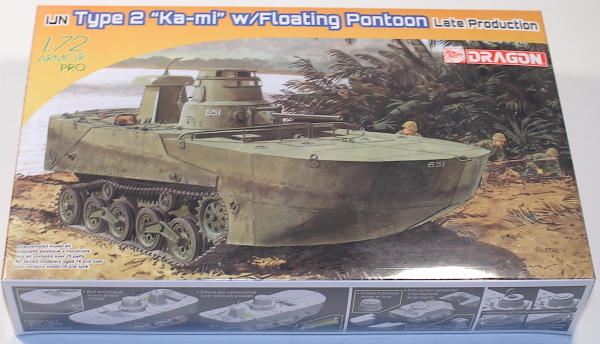 Of course, the reason for getting this kit is to have that interesting flotation gear, so to build up the Type 2 Ka-Mi with all of that, you'll be adding a front and rear assembly. Both of these have a one-piece lower section with separate top decks. The forward piece also has a bit of railing, while the rear has some other added details. There is also a three-piece engine intake cover, and a three-piece cupola extension for the turret. With everything together, it's time to paint up the tank. The overall color is green, and the only markings found are some small turret numbers and numbers on the rear hull. This is an unusual piece of armor that will look different next to some of the other armored vehicles. It is a simple construction and simple color scheme, so this could be built in a weekend. 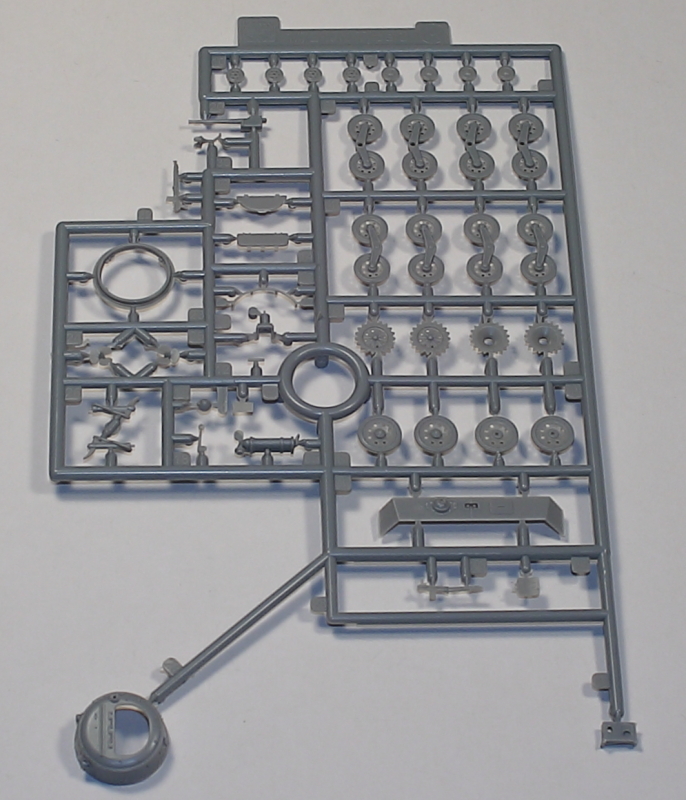 Many thanks to Dragon Models USA for the review sample.